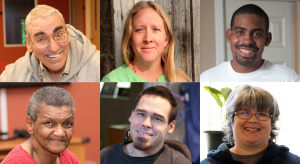 More than 58,000 individuals with intellectual and developmental disabilities in California are unable to live in the community without support. You can help. What is the Family Home Agency program? At California MENTOR, we believe everyone deserves to live in and be part of the community they call home. For individuals with intellectual and developmental disabilities, however, that opportunity may be limited. That’s why our partners at The MENTOR Network pioneered the Host Home model more than three decades ago. 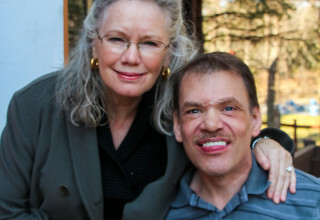 In our Host Home program, also known as Family Home Agency (FHA), adults with intellectual and developmental disabilities live in private family homes with dedicated caregivers who we call Mentors. We call them Mentors because they are more than care providers—they are teachers, advocates and family to the individuals they welcome into their homes. As a Mentor, you will receive 24/7 support from our experienced team of professionals, skill development opportunities and the reward of making a difference in someone’s life. Plus, the bonds of friendship you create can last a lifetime. To learn more, call 855-MENTOR2 or click the link below. We carefully match Mentors and individuals based on the lifestyles and needs of both. Whether you’re a family with children at home, empty-nesters, retirees or a someone looking to make a difference, take the first step and find out if being a Mentor is right for you. Call 855-MENTOR2 or click the link below today! See what it means to make a difference as a Mentor in the California MENTOR Family Home Agency program. Mentors open their hearts and homes to individuals with developmental disabilities and are teachers, advocates, and friends to the people they help. Founded in 1997, California MENTOR is a partner of The MENTOR Network, a national network of local health and human services providers in 35 states. As an FHA provider with California MENTOR, you’ll be part of a national community of caring while receiving support from your local MENTOR family. Richard, a man with developmental disabilities, never knew anyone could care so much about his happiness or success until he met his Mentor Lee. With Lee’s support and friendship, Richard has been able to pursue his dreams of getting his associate’s degree and being a stand-up comic.